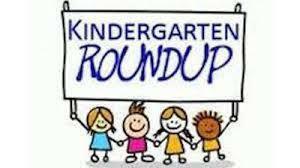 Kindergarten Round Up will take place on Thursday, April 11th from 5:00pm to 7:00pm in each elementary building. More information about the event will be coming to each school's website soon. Feel free to also contact your school for further information. We look forward to seeing all the new little faces of the Class of 2032 on April 11th!